No children’s playground, but the real deal! Together you’re stronger than air! Maybe it looks like it could be on a children’s playground, but don’t think too lightly about it: Reaching the other side of the Air Bag is definitely not a breeze! 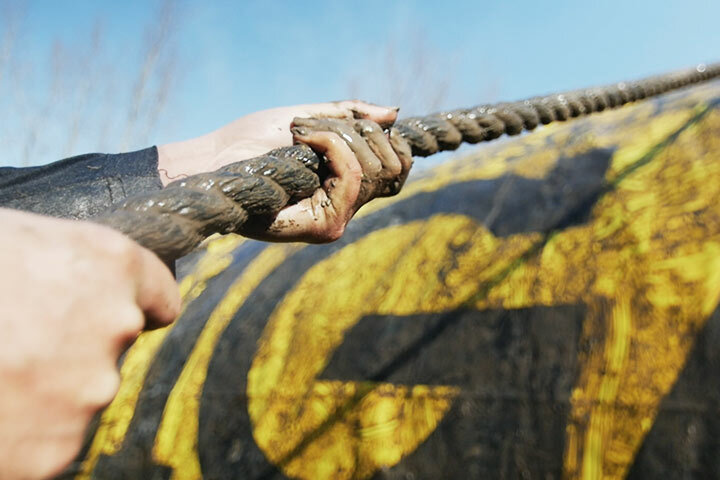 The ropes will help you but what you mainly need are your mud buddies. So invite them now and register together for the next event! We all had such a laugh! When Pim dove left on the cushion, Marlou was launched on the right. But together we did reach the other side! 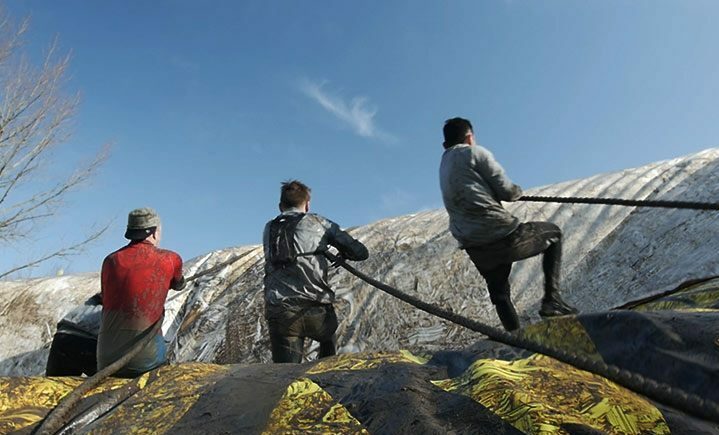 I’ve never seen anything like it at an obstacle run. Fantastic change-up! If you had to blow up the Air Bag by mouth, then you would need about 20,000 breaths to do it. That’s the same as blowing up some 3,000 balloons! JUMP @ Stunt Man Area! 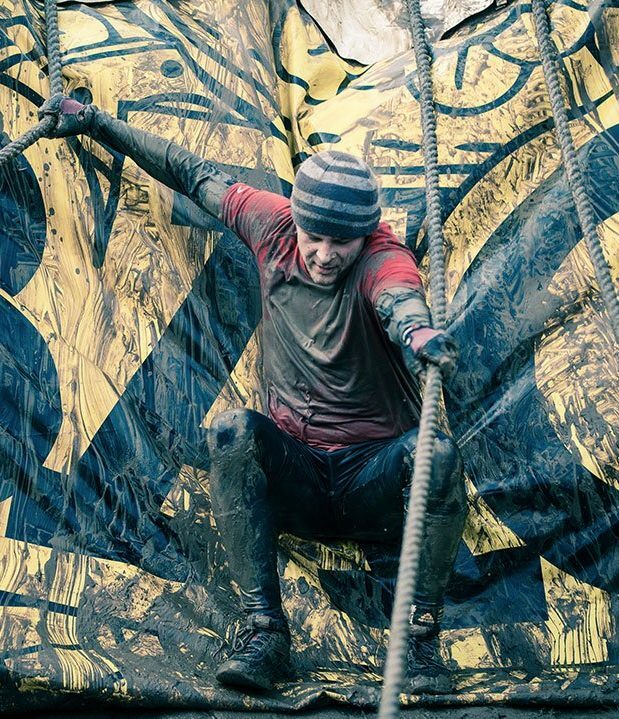 Besides this humongously big unit on the course, you will also find an enormous air bag that you jump into from meters-high scaffolding, in the start/finish area at most of our events. We call this our Stunt Man Area – because you can absolutely call yourself a stunt man or stunt woman if your dare to attempt this jump! It’s actually a sort of Splash Jump but then with a nice soft landing!